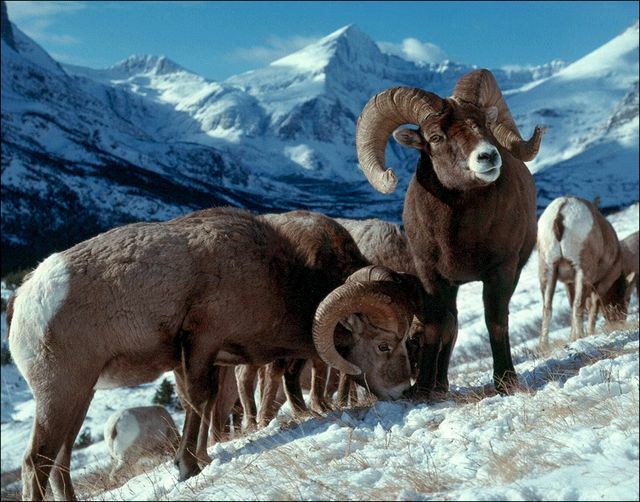 Native Nebraska populations of bighorn sheep disappeared. In 1981, reintroduction efforts began in the Wildcat Hills and Pine Ridge areas. Together with sheep from Montana, South Dakota and Colorado populations were established. All in all, around 200 wild bighorns now live in the Nebraska panhandle. Correspondingly named for its large horns, the sheep can weigh up to 300 lbs. Males (rams) have large, curved horns. Females (ewes) also have horns, but they are shorter and with less curvature.